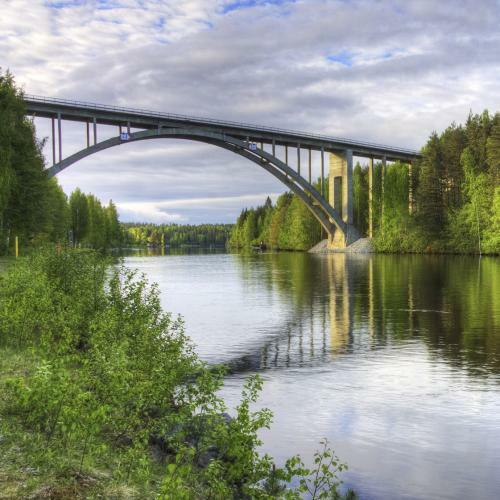 The naturally beautiful Leppävirta route has attracted travelers since the 1200s. Even in the present day, the route tends to both freight and personal transport through the Saimaa canal, all the way to the Gulf of Finland. The location and the long industrial traditions of the region have allowed a wide range of businesses to be developed alongside the traditional farming and forest industries. Leppävirta is located in Northern Savo, in the province of Eastern Finland, next to Highway 5 and the Saimaa waterway. The majority of the largest island in Finland, Soisalo belongs to Leppävirta.